Birmingham restaurant Lasan has been picked by potty-mouthed chef Gordon Ramsay as the best local restaurant in the country. The city centre Indian restaurant was named as the overall winner on the final of Channel 4 series The F Word, screened last night. 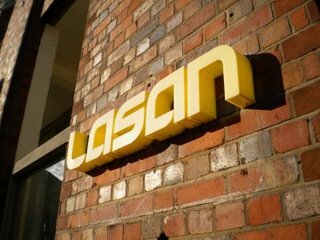 We’re not exactly short of somewhere to grab a decent curry here in the Midlands, but Lasan, based in James Street off St Paul’s Square, prides itself on its contemporary twists. Brummie-born chef director Aktar Islam, who was ticked off for being a bit cocky in a pot-kettle-black moment by Mr Michelin star Ramsay, cried a bit, shouted at his head chef Aysan Sheikh as if he was a naughty child and grinned a lot en route to taking the title. The pair cooked up a mouth-watering selection of three dishes for a room full of 50 food critics in last night’s televised final, toppling Cambridgeshire pub The Pheasant, scoring 70 out of 100 to The Pheasant’s 61. Aktar and Aysan dished up tandoori style masala chicken and mint chutney for a starter and a main of masala beef with curried pumpkin, while their poorly-scoring and bizarre-sounding pastry parcels stuffed with carrot and served with ice cream did not stop them scooping the title. Good luck getting a table in the next few weeks. Previous articleJedward to be the new Wossy?